Every morning feels like a battle to the death. 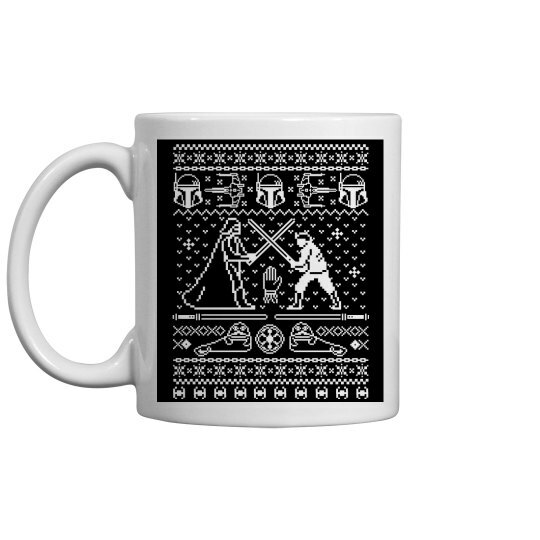 Wake up on the right side of the bed with this cool ugly Christmas sweater themed coffee mug. Enjoy your cup of java with Jabba as the two sides of the force battle.